Pedal Bar Detroit is here to help you explore the amazing city of Detroit in the most unique and fun ways possible: The Detroit Rolling Pub, Detroit Cycle Boat and Aloha Tiki Tours. Gather your crew, bring some drinks and experience Detroit like never before! Explore the city of Detroit and hop around to amazing bars on Detroit’s most popular peddle pub. Each peddle pub holds up to 16 people and, with 4 bikes available, the Rolling Pub is able to accommodate parties big or small - they also offer up single ticket rides as well. With seating up to 16 and two boats available, the Cycleboats are perfect for bachelorette parties, team building events, family gatherings and so much more. Bring your own food and drinks on board, peddle the Detroit Riverfront and see the city of Detroit like never before. We couldn’t talk about unique fun in Detroit without mentioning the newest party on the water - Aloha Tiki Tours! 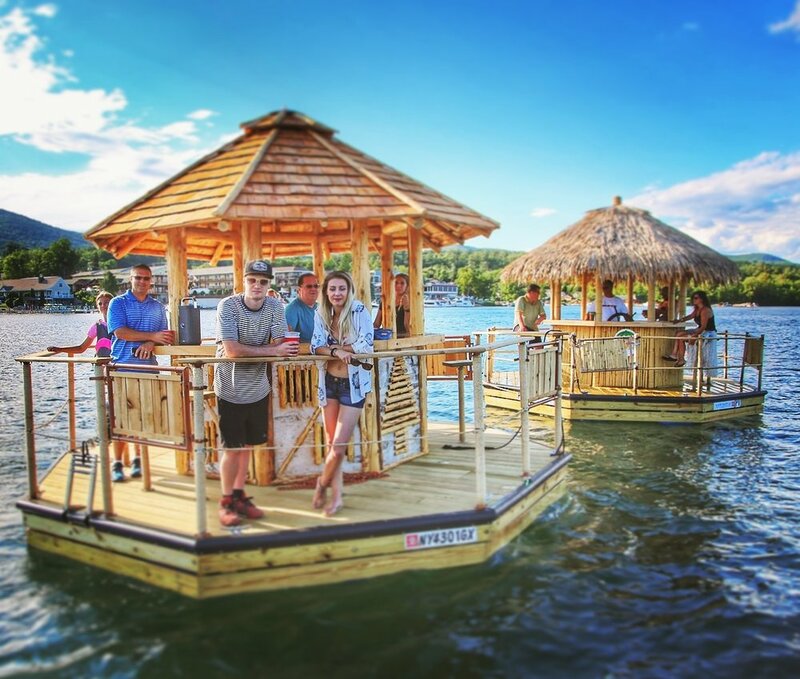 Bringing the Tiki Bar directly to the water, these Tiki Boats allow you to throw your very own island-like party in Detroit or St. Clair Shores. This highly anticipated tiki bar is opening Memorial Day Weekend!